This witty and fascinating study reminds us that there was animation before Disney: about thirty years of creativity and experimentation flourishing in such extraordinary work as Girdie the Dinosaur and Felix the Cat. Before Mickey, the first and only in-depth history of animation from 1898-1928, includes accounts of mechanical ingenuity, marketing and art. Crafton is equally adept at explaining techniques of sketching and camera work, evoking characteristic styles of such pioneering animators as Winsor McCay and Ladislas Starevitch, placing work in its social and economic context, and unraveling the aesthetic impact of specific cartoons. Before we met Mickey Mouse in 1928, Felix the Cat prowled the screen. This witty and fascinating study reminds us that there was animation before Disney. Crafton is equally adept at explaining techniques of sketching and camera work, evoking characteristic styles. Start reading Before Mickey: The Animated Film 1898-1928 on your Kindle in under a minute. Used this as a textbook in my animation classes in college. Very interesting & highly recommend for any history buffs. Also it's a paperback. 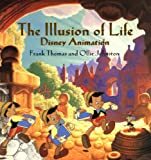 Excellent source for the history of animation. 5.0 out of 5 starsGreat. A great book on the history of animation. It's a great find should you find yourself in such a class. "Hollywood Cartoons: American Animation in Its Golden Age" by Michael Barrier (Oxford University Press, 1999) represents the gold standard in terms of the study and analysis of animation during the middle third of the 20th century when the Walt Disney studio reigned supreme. Likewise, Donald Crafton's "Before Mickey: The Animated Film, 1898-1928," first published in 1982, represents the gold standard with respect to animation history prior to the creation of Mickey Mouse and the advent of the Golden Age of motion picture cartoons. Crafton's book is engagingly written, broad-ranging, and ambitious. 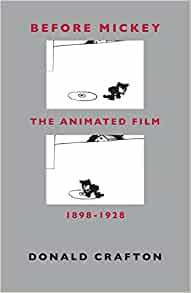 One of his objectives, stated in the preface, was to set the subject "against the background of the industrial revolution and cultural environment of the time"—a lofty and ambitious goal, rarely attempted by authors of books on animation, including Crafton's fellow scholars. Walt Disney would, in the 1930s, more fully than any of his contemporaries or predecessors, industrialize and thereby perfect the way animated cartoons were made. "Before Mickey" is must reading if only to better appreciate the nature and magnitude of that achievement. 5.0 out of 5 starsChronicle of a much forgotten time. There was once a time when the utterance "Mickey Mouse" had no meaning and conjured up no images of vast tracts of decadent land saturated with sugary amusement. The word "Felix", however, would probably send a jolt through most living in this lost time. Just how popular Felix was is evident in a 1926 photograph of Ligget's Drug Store in Grand Central Station that Crafton included in "Before Mickey." The window is nearly filled to the brim with Felix paraphenalia, much like we've seen recently with the Powerpuff Girls, Spongebob Squarepants and Harry Potter. Felix was once just as ubiquitous and just as unavoidable. The events that led up to this incredible success are laid out in "Before Mickey." The saga of animation is an interesting and much neglected part of cinema history. The book covers something that is almost never discussed: animation's origins in stop-motion. Everyone should read Crafton's account of "The Haunted Hotel" - a stop-motion film where objects "float" through the air and objects move on their own. It terrified audiences and gave impendance to animation with its success. From this it was almost a natural progression to drawings that moved and funny characters in funny situations. Silent animation had its own life and own method of communicating. Everything was in the pictures, and early animation artists made the most of this. It remains, and will probably sadly remain, a very underappreciated art form. We're just too drunk with sound these days. Luckily, you can read this book and get a taste of what those days must have been like, the stories of the pioneers that made it all possible (those in America, at least) and how far we've come in some respects and what we've lost in others. Anyone interested in the early history of animation should read this(after all, there isn't much else out there right now). Also, if you can, buy the tape (is it available on DVD now?) that accompanies the book. It's filled with great animation but sadly missing "The Haunted Hotel." It does, however, include a GREAT Felix the Cat cartoon. In histories of animation there is usually a very small amount of time devoted to animation that was released before "Steamboat Willie". This book fills this hole quite nicely. The book goes into exhaustive detail on James Stuart Blackton, Winsor McCay, Emile Cohl, Otto Messmer, the Bray Studio, and animation shops that emerged from the Bray Studio. There is one chapter devoted to commercial animation in Europe from this time period. But if you're looking for a more in depth study of early European animators like Ladislas Starewicz and Lotte Reiniger, you might want to check some place else (I'm not sure where). Though one entire chapter IS devoted to Emile Cohl, this mostly deals with American animation. Those looking for information about animation outside of Western society are looking in the wrong place. As its title suggests, this book is basically a history of events leading up to Mickey Mouse. 5.0 out of 5 starsValuable Reference book. The book is very well researched and is a valuable reference book that I will be using quite a bit.